These Chinese money envelopes have beautiful pictures of lovely pig(s) and Chinese wishing words. 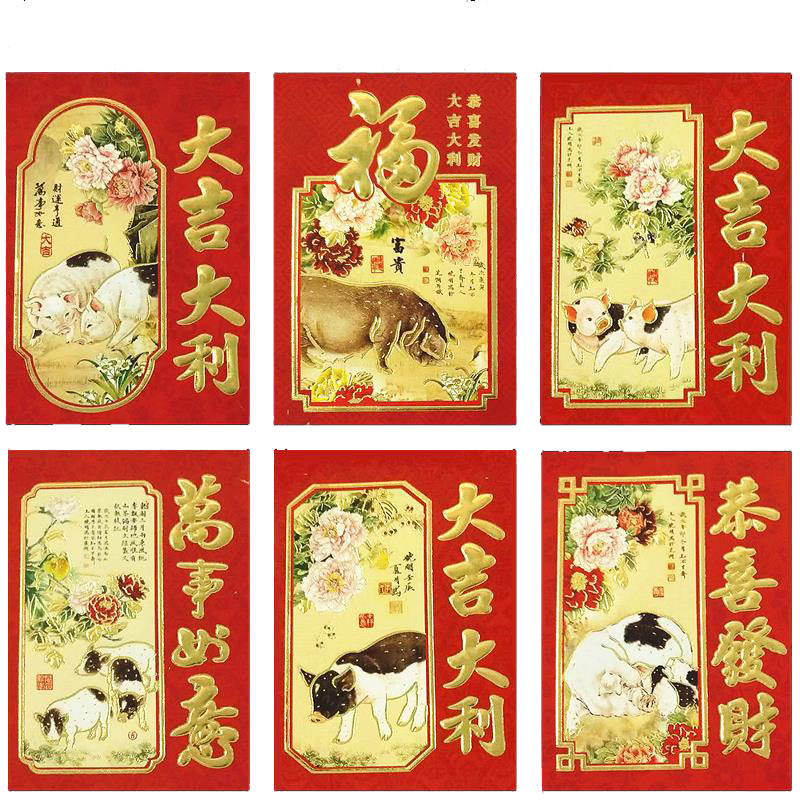 They are great for Chinese New Year - lunar year of the pig. The Size of the money envelope is approx. 4.5" x 3 3/16". Material: Paper. There are 6 same Chinese money envelopes in one pack. There are 6 different design of pig money envelopes as the picture. We will ship you either of design.